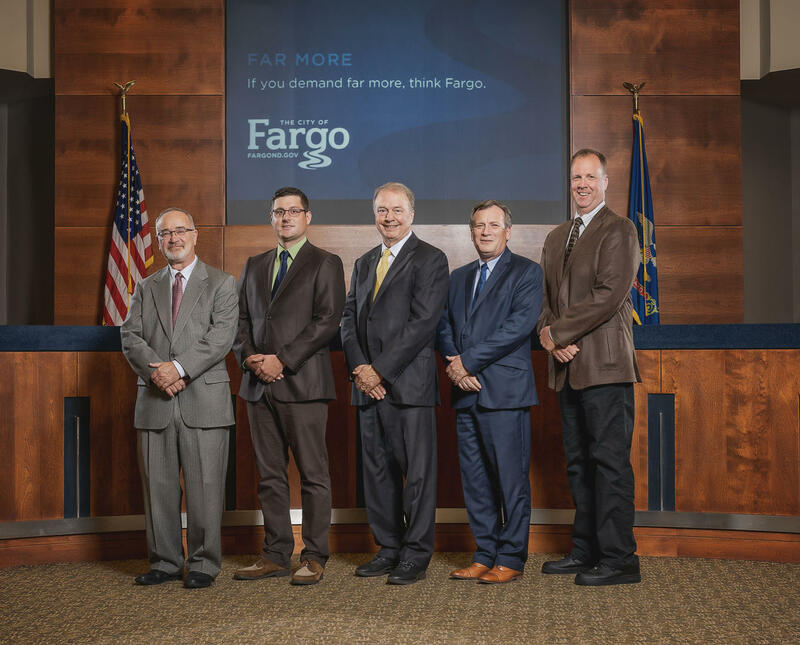 The City of Fargo has a commission form of government. The Mayor and four Commissioners are elected at large, meaning that every citizen has an opportunity to vote for each of them. Rather than representing specific areas of the city, as is done in a council form of government, Commissioners represent the entire city. Commissioners are elected for four-year terms and are limited to three consecutive terms. Any member who has served in the capacity of Mayor, as well as City Commissioner, may serve four consecutive terms.